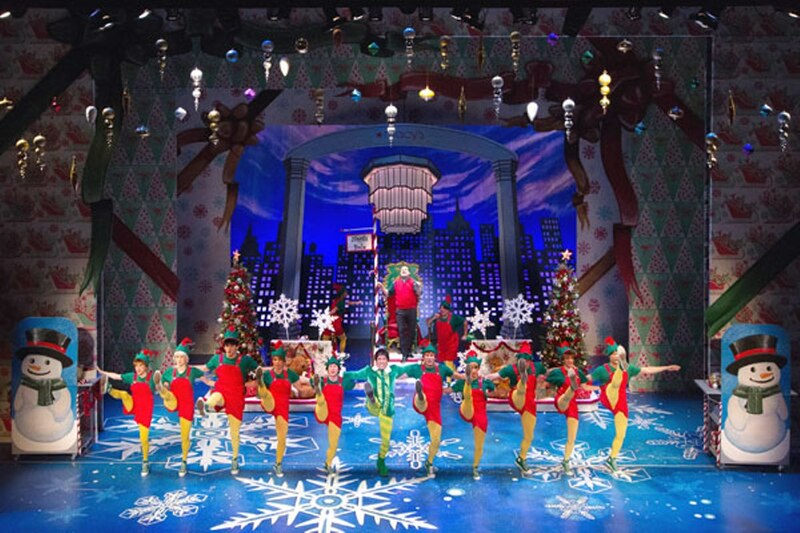 Based on the 2003 hit film of the same name (written by David Berenbaum and starring Saturday Night Live alumnus Will Ferrell), ELF, this year’s annual Christmas-time extravaganza at the Walnut Street Theatre, offers popular feel-good entertainment for the whole family. Adapted for the Broadway stage by Bob Martin and Thomas Meehan, with a score by Matthew Sklar and Chad Beguelin, the amusing musical comedy is filled with magic and spectacle for the kids, wry jokes and innuendo for their grown-ups, and a familiar sentimental moral that is relevant for all ages. It’s a cute and snappy start to the holiday theater season that could make even the meanest Grinch smile. 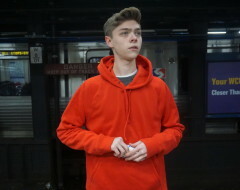 When baby orphan Buddy Hobbs (the absolutely enchanting Christopher Sutton) crawls into Santa’s toy sack on Christmas Eve, he is unwittingly transported back to the North Pole and raised by elves, living and toiling with them in the home and workshop of a grouchy iPod-and-TiVo-obsessed post-modern Santa (Bill Van Horn). As he grows, his size and mediocre toy-making abilities reveal the obvious–that he is actually human—so the 30-year-old Buddy heads back to New York to find his birth father, and, ultimately, to restore faith in the true meaning of Christmas to his long-lost family, and to all of jaded Manhattan. 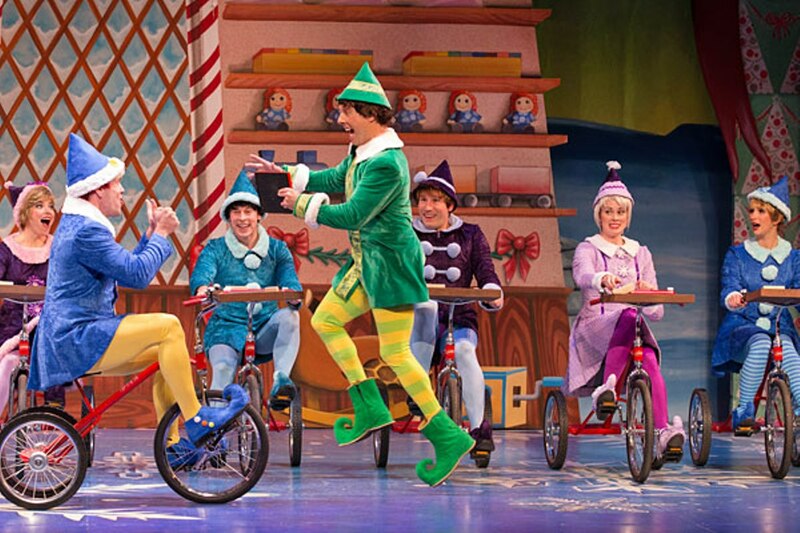 The show is a visual delight of colorful elfin costumes (Colleen Grady), spectacular wintery scenes of New York landmarks and North Pole settings in gift-wrapped boxes (Robert Andrew Kovach), sparkly lighting effects (Shon Causer), and exuberant choreography and direction (Marc Robin). The sweet treats for the eyes are matched by catchy music and vocals (musical direction by Douglass G. Lutz; sound design by Will Pickens), enthusiastically performed by the large ensemble of adults and children–all impressive in step and harmony, with an especially rousing tap number by Buddy and his reluctant love interest Jovie (the excellent Kate Fahrner). Standouts among the supporting cast are Charles Pistone and Paul L. Nolan as the naughty-not-nice workaholics Walter Hobbs (Buddy’s real dad) and Mr. Greenway (his demanding boss), whose cynical lack of holiday spirit forms the perfect foil to Sutton’s charmingly childlike, loving, and joyous elfiness. It’s all a whole lot of fun. November 5, 2013-January 5, 2014; walnutstreettheatre.org.